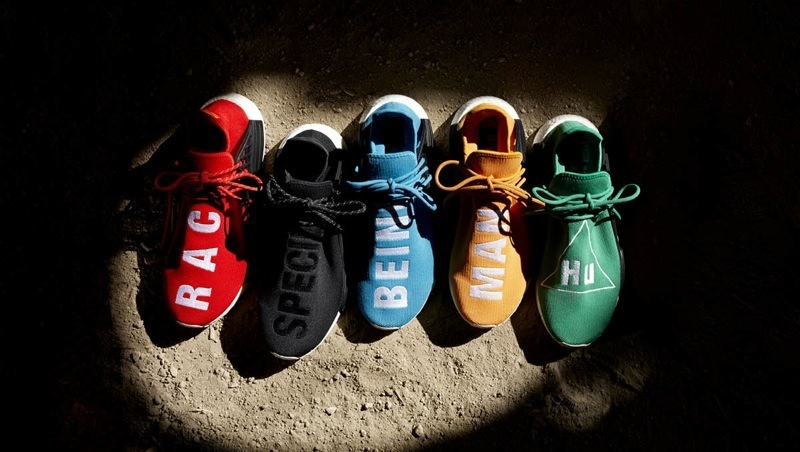 Want to score your own adidas Originals PHARRELL WILLIAMS HU NMD Boost sneakers? Here’s how you can get the chance to cop them. Adidas Philippines, Inc. is holding its own silent raffle. These Pharrell Williams Hu NMDs are limited so better cop them on the release date. 1. This silent raffle (the “Raffle”) is organised by Adidas Philippines Inc.
2. The Raffle is only open to all residents in the Philippines. 3. The Raffle will be open from 28 Sept 2016 1000hrs (GMT+8) to 28 Sept 2016 1900hrs (GMT+8). 4. By submitting an entry, you thereby agree to abide by these Terms and Conditions. 6. Customers are to ensure that all the information they provide on the raffle form is accurate. The customer is responsible for any wrong information entered at the point of submission. 7. Each customer will have to rank top three (3) colour preference. Once chosen, colour preference will be based on availability of remaining pairs. 8. Customers who are successful in the Raffle will be notified via a confirmation SMS and email by 29 Sept 2016, 1000hrs. 9. Customers are to present the confirmation email and valid photo ID/passport that matches the information that was entered in the Raffle at the adidas Neighborhood store, Glorietta Mall, Space No. 1-018 G/F, New Glorietta 2, Ayala Center, Makati City and Uptown Mall, G/F Uptown Place Uptown Bonifacio 38th St, Bonifacio Global City, Taguig, Metro Manila on 29 Sept 2016, 1000hrs. 10. The customer will not be eligible to purchase the adidas Originals PHARRELL WILLIAMS HU if the information on the valid photo ID/passport does not match the information that was entered in the Raffle. 11. All successful customers must be present to make the purchase of their adidas Originals PHARREL WILLIAMS HU. No one is allowed to purchase the adidas Originals PHARREL WILLIAMS HU on behalf of a successful customer. 12. No trying on of adidas Originals PHARREL WILLIAMS HU at the point of purchase. 13. No exchange or refunds are allowed after purchase of the adidas Originals PHARREL WILLIAMS HU. 14. Successful customers are required to make their purchase on 29 Sept 2016, during retail hours. Failure to do so will result in the forfeit of the footwear. 15. Adidas Philippines Inc. reserves the right to disqualify any successful ballot due to ineligibility of the customer. Adidas Philippines Inc. is not required to provide any explanation for the disqualification.